Thanks to global warming, for the past few days temperatures in Southern England have been unusually hot. When we should be drowning under the heavy downpours of April, we’re instead sunbathing down the beach. Although it is pretty worrying, we have to admit it’s also been really pleasant to be able to enjoy long days outdoors. It also feels we won’t need our winter clothes for a little while now, so it might be the prefect time to undertake a big wardrobe spring clean! In her blog Worn Values, the wonderful Louisa Bond explains how she managed to create her own seasonal capsule wardrobe by using the Marie Kondo method. Being thoughtful with the way we consume clothes and exploring the benefits of having a minimalist – but cohesive – wardrobe, are also at the heart of of the 10 x 10 Challenge. In this experiment participants must select 10 pieces of clothing from which they’ll create 10 outfits worn over a 10 days period. Lee of Style Bee and Caroline of UnFancy have already shared their 10 x 10 wardrobes, the result is greatly inspiring. Hot weather also implies that moths will soon be back in full force. In this article published in the Telegraph, Rebecca Bennett – collections conservator for English Heritage – shares her most efficient tips on how to prevent moths entering your home and feast on your closet! The Pathe archive is a wealth of information. If I have few minutes to kill, I love to go on their online database and mine for some little gems like this footage from 1935 showing two fishermen knitting away during their breaks. 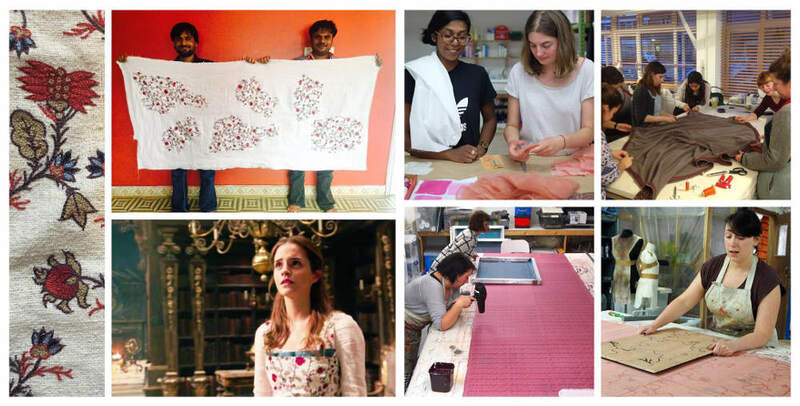 We’ll conclude this post with an insightful article on the making of the Beauty and The Beast costumes!